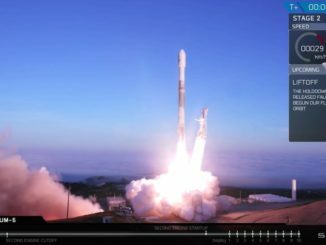 SpaceX announced Monday two new Falcon 9 and Falcon Heavy rocket missions from Cape Canaveral, Arianespace said it cinched a contract to launch a Japanese TV broadcasting satellite, and International Launch Services revealed a deal to launch a Spanish telecommunications payload, ending a drought in commercial Proton launch orders. The contract announcements came with the opening of Euroconsult’s World Satellite Business Week conference in Paris. 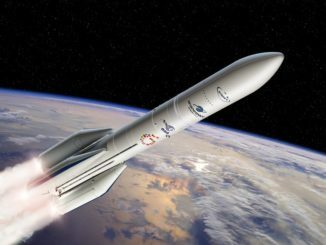 Arianespace, SpaceX and ILS take in the lion’s share of commercial launch contracts for large satellites. The SpaceX launches will take off from Florida’s Space Coast some time between late 2017 and 2018, the company said in a press release. A Falcon 9 rocket will send up an unidentified satellite for Madrid-based Hispasat, and the Arabsat 6A communications satellite to cover the Middle East, North Africa and Europe for Saudi Arabian operator Arabsat. Arabsat announced earlier this year its intention to assign the Arabsat 6A satellite, which is to be built by Lockheed Martin, to a Falcon Heavy mission. 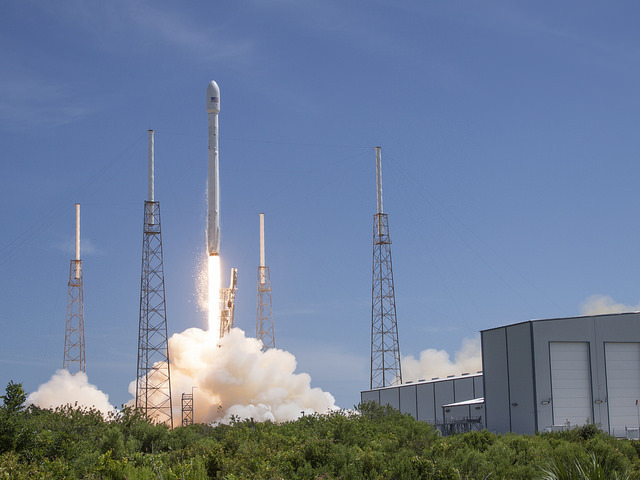 SpaceX confirmed the deal in its press release Monday. The Falcon Heavy rocket is set to debut as soon as April 2016 after several years of development delays. It is formed by three Falcon 9 first stage booster cores to lift heavier payloads into space. SpaceX’s workhorse Falcon 9 is due for an upgrade when the rocket returns to flight after a June 28 launch failure blamed on a deficient strut inside the vehicle’s second stage. The new Falcon 9 rocket, sporting higher-thrust engines, a lengthened second stage and a modified propellant mixture, will be first in line when SpaceX resumes launches some time in November. SpaceX said it has more than 60 missions on its manifest worth more than $7 billion with the additions of Arabsat 6A and the Hispasat mission to the company’s backlog. The numbers include options under SpaceX’s multibillion-dollar contract with NASA to construct human-rated Crew Dragon space capsules for astronaut missions to the International Space Station. Russian-owned, U.S.-based International Launch Services said Monday it won a contract to launch the Hispasat 1F or Amazonas 5 satellite for Hispasat in the first half of 2017 from the Baikonur Cosmodrome in Kazakhstan. 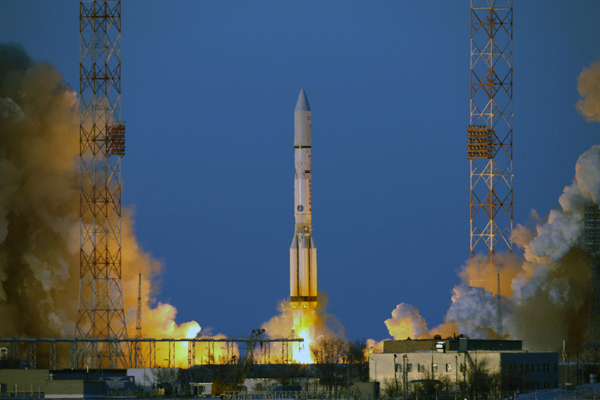 Owned by Proton-builder Khrunichev, ILS manages commercial exploitation of Russia’s Proton rocket, which has logged back-to-back successes after a three-month grounding following a crash in May, the Proton’s third launch failure in less than two years. The reliability woes left ILS without any new contract wins since early 2014 until the Hispasat agreement disclosed Monday. Both Hispasat 1F and Amazonas 5 are to be manufactured by Space Systems/Loral. Arianespace’s agreement to launch the BSAT 4a communications satellite, which is tailored for Ultra HD broadcasts, rounded out the contract announcements Monday. Owned by Japan’s Broadcasting Satellite System Corp., or B-SAT, the spacecraft is also to be built by Space Systems/Loral. SSL selected the Ariane 5 rocket to launch BSAT 4a in 2017 as part of the manufacturer’s turnkey contract with B-SAT. 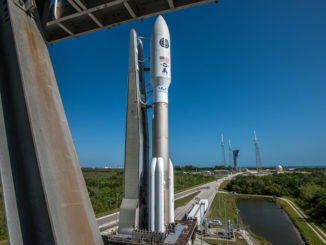 BSAT 4a is sized to ride in the lower berth of the Ariane 5 rocket’s payload fairing, where the smaller of the launcher’s two satellite passengers is positioned. Launched from a tropical spaceport in French Guiana, the Ariane 5 typically flies with two satellites at a time on missions to geostationary transfer orbit, the drop-off point for most communications satellites.